Impact Investing is a proactive approach for long-term success, seeking positive profits/returns plus quantifiable social impact (e.g. education, financial inclusion, energy, water, food, health, women, poverty). Financial and Social Impact is NOT always a trade-off! 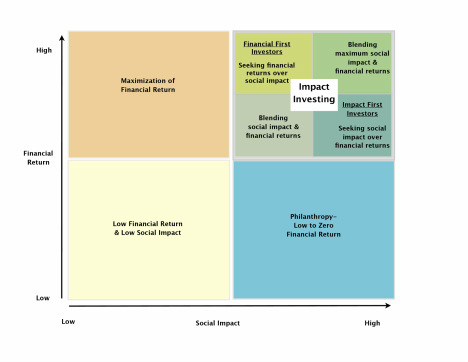 Why consider both Financial + Social IMPACT? Potential for higher financial returns AND greater social impact!!! K-Impacto Social works globally to generate positive Financial + Social Impact!